5 Starr Plumbing is a locally owned and operated company serving many areas all over Baldwin county. Our plumbers are highly experienced, licensed professionals who are thoroughly trained in the plumbing industry. You’ll never have to worry about the integrity of our technicians or staff because we ensure that plumbing contractors are professional and respectful, and fully focused on first rate customer service. All of our services are available at competitive rates, and our expert workmanship is guaranteed. 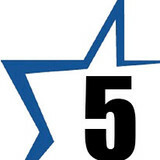 In fact, if you’re in or near Fairhope and we serve you, we guarantee you’ll give us 5 stars! We provide free estimates for all your plumbing repairs no matter the size of the job. Whether you need a residential or commercial plumber, you'll experience quality repairs at up-front competitive rates. We are capable of any plumbing needs that may arise from a simple leaky faucet to replacing a 4” copper water line. My goal is to be a very competitively priced plumber who is also prompt and respectful of your time and home/ business. For first class plumbing services or 100% money back guaranteed, call the professionals. Trust Affordable Plumbing Sewer & Drain, we put our clients safety first. Call us today, for a plumber that shows up on time, and does not charge any overtime fees. Hi I'm Brandon Williams Owner/Operator of Cottage Hill Plumbing where we provide services for new construction, remodel, repair.and residential sewer cleaning We treat your home like our own and we treat our customers like they are our own. We are fully certified to perform a wide range of services for your septic tank and liquid waste. No matter the size of the requirement, Mobile Septic Tank Services will be there to get the job done promptly and efficiently. Our services include septic tank pumping, cleaning, inspection, repair, and installation. Remember, regular septic tank maintenance will keep you from needing us in a hurry. However, we do respond to emergency calls as well. You can rest assured we will be here whenever you need us. We can service your septic needs in the Mobile, Alabama, area when you need it most. Our company understands the importance of a clean septic tank. Be confident our services are prompt and environmentally friendly. We provide our septic services to a range of customers and take the time to understand their requirements, suiting our services to their budget and deadline. We service commercial clients who use septic tanks, portable toilets, and other devices in office buildings, shopping centers and more. We also cater to countryside and suburban homeowners that use septic tanks. Our customers depend on us to deliver reliable services and competitive prices, so it is our goal to establish a strong relationship with our clients. 911 Restoration of Pensacolais a residential and commercial property restoration company that focuses on our customers when providing water damage restoration, mold removal, and other property services. With same day service water, fire, and mold restoration services, we can help the whole panhandle area. Call us when your home or business floods and our IICRC certified technicians will be there within 45 minutes. We are knowledgeable on all manner of fire damage restoration and will be happy to answer your questions. If you suspect mold in your home, call us for visual mold inspection. All About Plumbing Services 10052 Woodmere Dr. Fairhope, AL 36532, United States 251-928-1188 <a rel="nofollow" target="_blank" href="http://www.allaboutplumbinganddrains.com">http://www.allaboutplumbinganddrains.com</a> For over 20 years, All About Plumbing Services has been a leader in both commercial and residential plumbing. Based in Fairhope, AL, these elite plumbers also service Balwin County, Daphne, and Spanish Fort. In addition to their experience, they are known for their personable staff. These local technicians pride themselves on going the extra mile for customers by offering helpful suggestions. The licensed plumbers of All About Plumbing Services are trained to handle any type of plumbing issue you can imagine. Plumbing leaks can be a nuisance, so these plumbers will not only fix the immediate situation, but they will search for other vulnerable areas. When conducting a drain cleaning or sewer line cleaning, the professionals will add years to your plumbing systems. The All About Plumbing Services team will also help you install plumbing infrastructure to make your home run smoothly. After the experts insert new sinks, toilets, or water heaters, you’ll never have to spend time thinking about these units again. Because of the company’s customer-first philosophy, technicians take the time to explain best practices for keeping your plumbing in excellent shape. As a truly local company, the staff and their families live in Baldwin County. For this pillar of the community, it’s important to All About Plumbing Services for clients with plumbing issues to get serviced as soon as possible. The next time you have a plumbing issue, contact All About Plumbing Services for master plumbers who genuinely care about their clients. You can reach the professionals by calling (251) 928-1188, or visit the website. When you invite Affordable Plumbing, Sewer & Drain into your home, you can expect on time, courteous and professional licensed plumbers. Randy Lee opened Affordable Plumbing, Sewer & Drain in 1996. Our Fairhope Plumber services provide expert knowledge in Plumbing Repairs, Drain Cleaning, New Construction, Hot Water Heaters, Tankless Water Heaters, Dishwashers & Garbage Disposals, Sump Pumps, Water Pipe Repairs, Irrigation, Sewer, Video Drain Inspection, Radiant Barriers, Commercial Plumbing, and Grinder Pumps. A plumbing contractor handles the installation and repair of water, sewage and natural gas pipes throughout a home, as well as interior and exterior faucets and fixtures. Plumbing contractors are also trained to work with water mains, septic tanks, laundry appliances, water heaters, sump pumps and other plumbing and pipe systems. Because plumbing repair work is done largely behind walls and beneath floors, some plumbing companies can also patch or replace tile, stonework and other surfaces. Although some Daphne plumbers are generalists, others specialize in specific areas; a 24 hour emergency plumber will handle urgent residential repairs, while others may be more skilled in remodeling, natural gas lines, overhead sprinkler systems and more. Find a local Daphne plumber on Houzz. Narrow your search in the Professionals section of the website to plumbing contractors in Daphne, AL. You may also look through photos of Daphne, AL projects to find a licensed plumber who has worked on a project similar to yours. Here are some related professionals and vendors to complement the work of plumbers: General Contractors, Septic Tanks & Systems, Kitchen & Bath Designers, Kitchen & Bath Remodelers.